Victoria Community Living (VCL) is a private organisation providing community-based acquired brain injury rehabilitation and support. VCL is a registered NDIS service provider. VCL offers programs that are tailored to the individual and delivered by highly skilled, trained staff. These programs support people with ABI to live in the community with maximal independence and also assist people to work towards their rehabilitation and life goals. VCL Therapy Assistants are hand-picked employees, most of whom have an undergraduate degree and are trained to work with people who have an ABI. Therapy Assistants work in goal orientated programs under the direction of therapists. Clients are provided with the support to participate in selected activities of daily living. Case Managers provide assistance to enable our clients with acquired brain injury (ABI) to live in the community through provision of structured coordination of the requirements of their daily living. Case management services are inclusive of, but not limited to: program coordination and establishment, identifying and sourcing appropriate services, scheduling and supporting attendance at medical appointments, overseeing disability support programs, managing the search for housing for rental or purchase, managing transition to new accommodation, and assisting clients undertake research before major and minor purchases. VCL Therapy Assistants provide support to clients with acquired brain injury in volunteer and work experience roles in a range of community settings. These areas are inclusive of, but not limited to: domestic gardening and household maintenance, golf course green keeping, car detailing and animal care. VCL Therapy Assistants support clients in the role of “job coach” offering skill based growth and development. Our pre-vocational services aim to transition clients into paid work roles. Pre-vocational support programs are overseen by an Occupational Therapist. Staffed by Therapy Assistants, Victoria Community Living offers an innovative community-based 24-hour accommodation and support option for people with high cognitive-behavioural support needs following brain injury. Residents receive structured daily support and a therapy directed program of skill acquisition and positive behavioural support. The aim is to enhance independence and participation and reduce long term support needs. 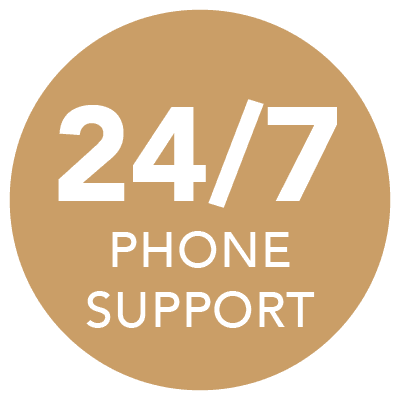 Victoria Community Living offers a 24 hour telephone support service to clients who are receiving our therapy services. This provides our clients with the security of being able to contact one of our key personnel around the clock. If required, a staff member can be dispatched to the client’s home to provide hands-on support. Copyright 2018 Victoria Community Living Pty Ltd.